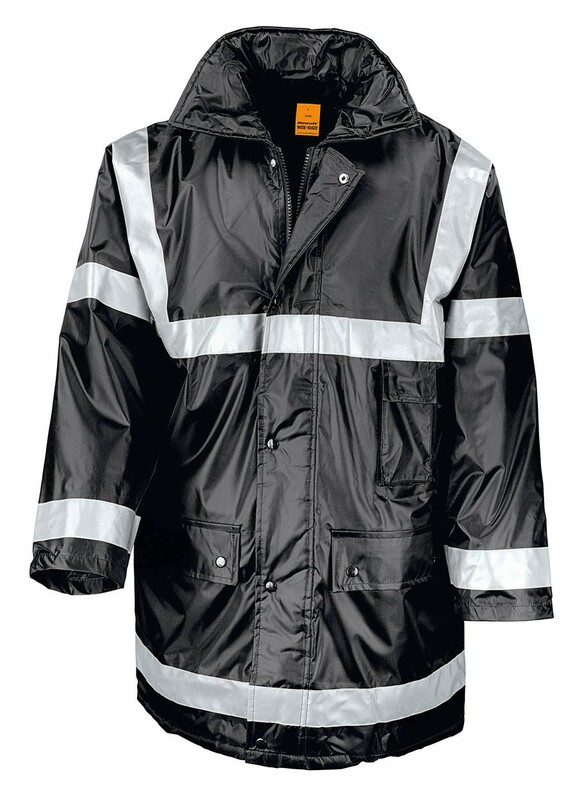 The Result Workguard Management Jacket is a smart insulated waterproof jacket with reflective detailing. Taped seams. Quilted polyester lining. Full two-way zip with studded storm flap. 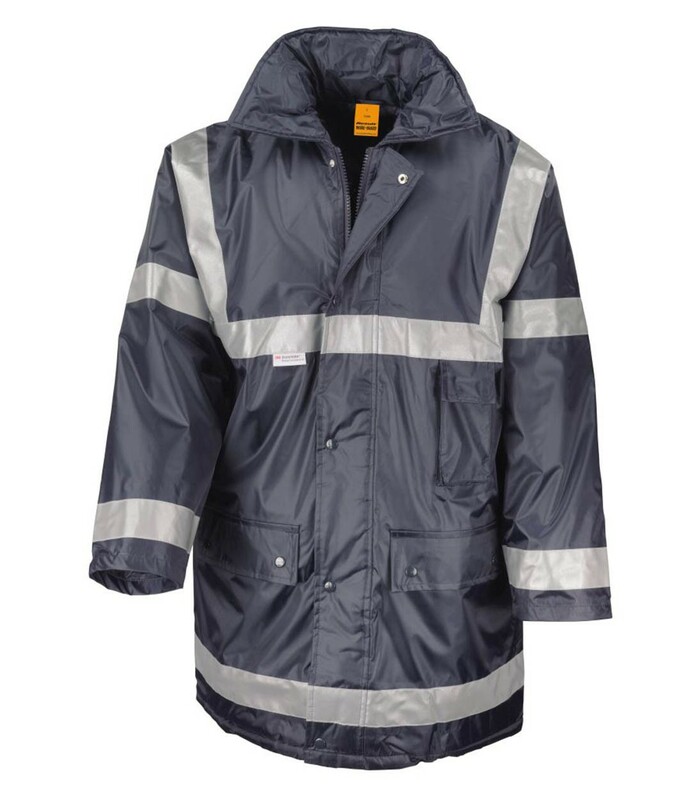 Concealed, adjustable hood. 3M reflective bands around body and sleeves. Inner storm cuffs. Underarm ventilation eyelets. Large front stud closing pockets. Inside pocket and phone pocket. Zip access for decoration.